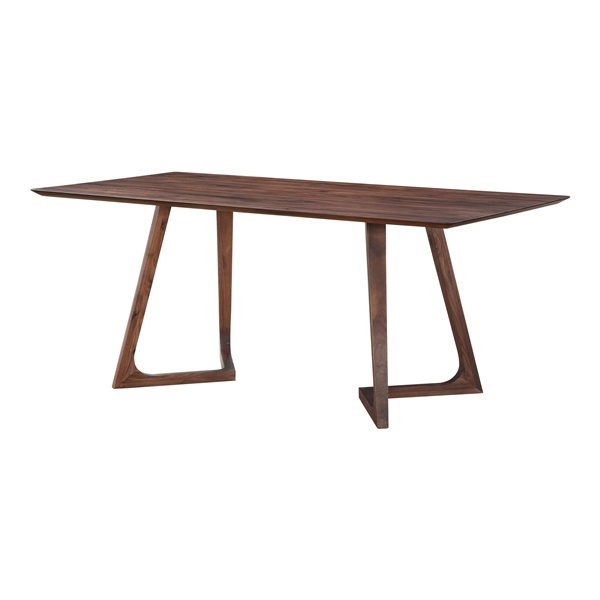 If you are in need of a beautiful new dining table for your home, you can’t go wrong with the solid walnut of the Godenza Rectangular Dining Table. As a part of the Moe’s Home Collection, this beautiful table is expertly crafted and offers a finish that is easily incorporated into any type of décor. The hardware to assemble it is included and it can stand alone or with the other pieces in the Godenza collection. It comes in a variety of sizes to allow you to choose the one that is right for you. Expert craftsmanship of solid American walnut. Modern refined style with mid-century touch.